Our resort is a small 8 bedroom, self contained hotel which focuses on offering a true escape experience for our guest. We want each traveller to feel renewed and inspired after their stay with us . 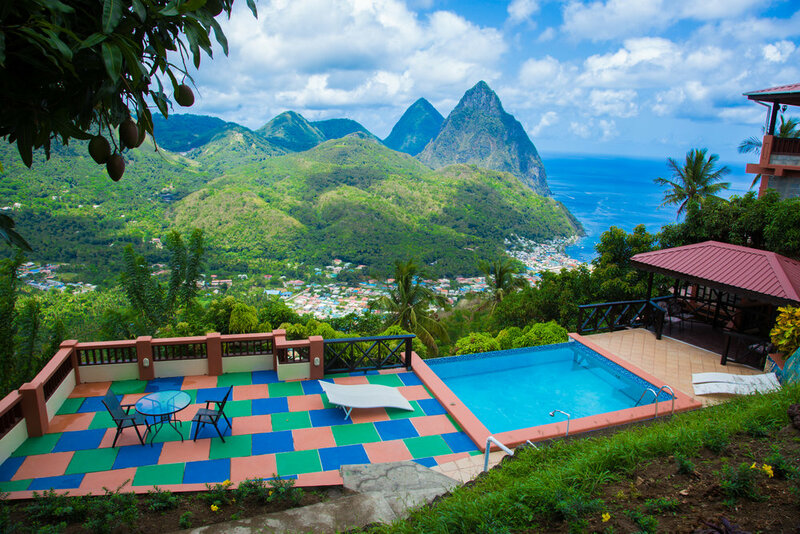 Each room has a view of the quaint town of Soufriere, St.Lucia’s twin peaks, lush vegetation, hills and the blue Caribbean sea. Our self contained kitchen is equipped with the required tools to cook up your St.Lucian meal, and if you do not desire to cook, our guest service team will be pleased to make lunch or dinner recommendations. Visit our Guest Service team for all your questions, they are ever so eager to help you plan out your escape in St.Lucia.